How Can 1 + 1 + 1 = 7? Yesterday, I was sharing ‘healthy tips’ with one of my clients about why we need to find some balance in our training. You know – a little yin/yang. Taking that a step further, you need not only balance in your training program, but balance in your life as well. That’s why when I start with a new client, training is just one part of the equation. I don’t care how hard you train if you’re only sleeping 3 hours per night, or waking up 10-15 times during that sleep. You’ve got to earn the right to train hard. Everything else can be in place, but if you’re an nervous wreck and stressed to the gills, it’s tough to see the changes you want physically. You can’t focus on one “thing” and hope to be successful. You have to focus on all of them. But let’s take that a step further – when you focus on massive, sweeping changes all at once, it’s a sure-fire way to overwhelm yourself and get nowhere. What you have to do is slowly but surely build and layer habits to ensure your success. And this is the exact approach we use in my online training group. Instead of making everything a priority all at once, we pick one specific goal each month to improve our resiliency – things that will help us better endure the rigours of both training and life. And with those habits firmly in place, the next month we add and layer a little bit more. In the short-term, it may not seem all that alluring. So what if you’re drinking 2 litres of water every day? But here’s the thing: Over the course of a year, it amounts to massive, game-changing levels of success. Because what ends up happening isn’t 1+1+1 = 3, but something more akin to 1+1+1 = 7. I’m going to do everything in my power to make sure that every single person who joins, has a transformative year, both mentally and physically. 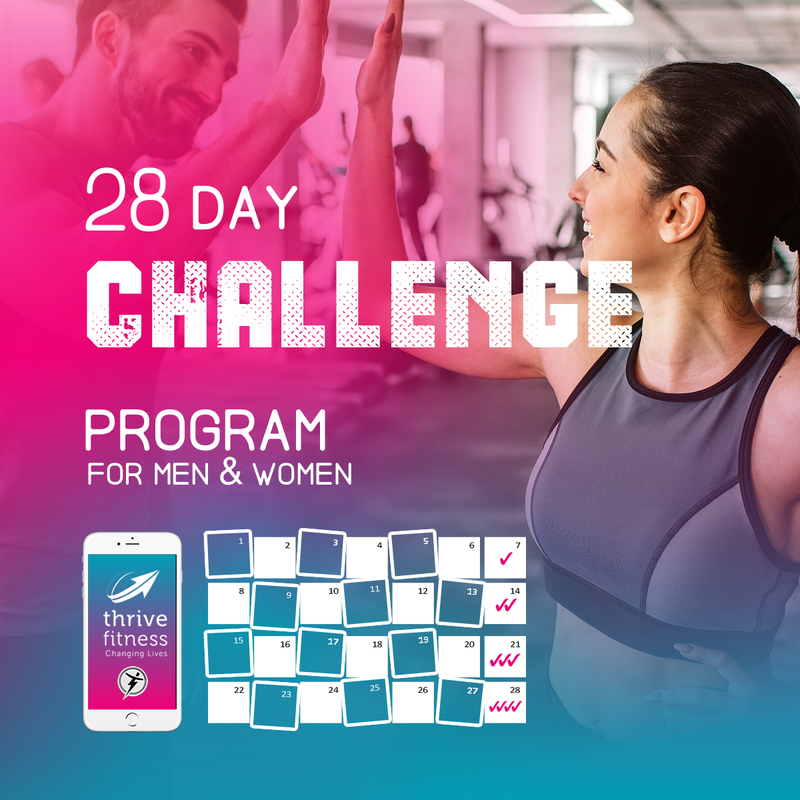 If you’ve got a question about the program that’s keeping you from joining, please email me directly at https://thrivefitness.com.au/contact/ I’d love to answer it and hopefully get you in the group!